Threatening legal action is a technique used by attorneys to intimidate both companies and individuals. The facts don’t really matter at this stage of a disagreement. And facts are hard to come by in cases where individuals or companies make conflicting claims. Merely throwing a lawyer letter together and fedexing it to the opposition is usually enough. I have no love of legal action (having been through a few suits…and won). The only ones who really win are the lawyers and their firms. I decided to remove the offending posts and retract my accusations because I prefer to avoid litigation. We’ll see how things play out in this particular instance…if the lawyers and Nordost are satisfied, then we’ll go our separate ways. If not, it may be necessary to build a defense fund and go to court. I hope to avoid the legal route. It seems a lot hinges on the ability of a company or writer to prove or to “substantiate” a claim or criticism. I think that’s why so many writers and marketing people tip to the subjective side of product descriptions and reviews. Apparently, you can’t get in any trouble if you offer an opinion or cleverly word your statements. Perhaps I’m not so clever. 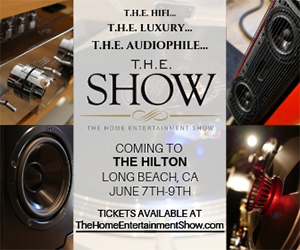 Demos of high-end audio equipment, expensive audiophile tweaks, cables of all types, high-resolution content, and accessories are hard to do. I know in my own demonstration room at the AXPONA show (and when customers get their first exposure to real high-resolution audio at home), the response is uniformly positive. I would not have continued producing records and promoting the merits of quality production, surround sound, and high-resolution audio, if listener didn’t notice a dramatic difference between what they’ve been used to hearing and the music that I produced. But how does anyone defy gravity? Or how does a cable company produce a product that claims to enhance audio quality and substantiate that claim? That’s the real art of the demo. Power cords deliver 120 VAC at 60 Hz from the wall socket to the back of your component. The wires in the wall cost $.10 per foot and the cables from the AC connector on the back of the component to the guts of the power supply are also $.10 per foot. Inserting a 6-foot length of thick, beautiful, transparent, glossy, expensive cable between the wall socket and the back of my disc player will not “act as a power conditioner” or affect the quality of the power reaching the back of the device. To do otherwise would attribute qualities to a power cable that audiophiles don’t want or need. If you want to condition bad power, get a power conditioner or fix your power. If you want to change the timbre of your sound, use an equalizer. To elevate power cords beyond the simple ability to deliver 120 VAC/60 Hz to your gear is silly, in my opinion…and the opinion of electrical engineers. I’m going to start a YouTube channel and podcast this summer and will be challenging some of the claims made by companies selling snake oil. Power cords are on my list. 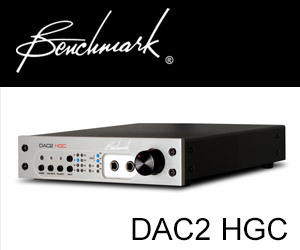 If anyone…and end user or dealer or manufacturer…can lend me a very expensive power cord, I would love to be able to do a scientific comparison between a “state-of-the-art” power cord and one the one that came with my Benchmark DAC2 (which is what they recommend be used with their gear). It is possible to measure any differences between them. My guess is that they won’t be any different…but I’ll try to keep an open mind. I think the youtube channel is a good Idea. Let the people see if an accurate measuring instrument can detect any changes in the audio output. Then you can allow listeners to decide for themselves in the studio if they perceive any difference. As with any expensive purchase, confirmation bias is a huge contributor to the evaluation of the product. Instead of the Benchmark, try it on your amp. I’ll try it on a variety of components, but the Benchmark or my Oppo machines are tempting because I have identical units and can quickly switch between them. Hi Mark, very excited that you are going down the video podcast route as I think this is much needed and should provide some fascinating insights and development of themes you’ve raised in this blog. And as a fellow Benchmark DAC2 owner I will be very interested in the result of your proposed power cable test, should any cable manufacturer be brave enough to accept the challenge of taking part in a test not controlled, at least to some extent, by them or their favored reviewers. I guess any degree of silence will, in fact, speak volumes. Agree with you whole heartedly Mark and you have my wholehearted support. I’m in the process of running separate supply line from my property mains DB board and dedicated feed audio equipment. We use 220V 50Hz, i have built some diy power conditioning circuits that i want to experiment with and will also check results feeding an UPS(for my home IT stuff). I have some power hungry amps to drive very demanding speakers and thus a correctly rated UPS to deliver the VA required for my neighbourhood listening sessions, is something i will have to build to be able to afford going down this path. All this as I want ensure a supply that minimizes external noise and influence within my budget. It is all about the weakest link in the chain and just addressing the last mile imho will have very limited overall effect. Shout if you need some support votes. The funniest thing about high end power cables business concept is that it implies that the companies who sell high end audio components are smart enough to produce high end gear, but at the same time are dumb enough not to figure out that providing themselves such kind of cords with the gear they sell, if the difference with standard cords was real, should be mandatory. Mark, I would move on and focus on what your know and do best, making high-quality recordings and explaining why they are better than alternatives. In that endeavor you can indicate why you use the equipment you use, including cables, and how you have not found any improvement in sound quality by using other highly-promoted equipment including expensive cables. I believe your greatest contribution to your readers is to furnish us with what we really need to enjoy a high-quality music listening experience. Mark is well qualified to challenge the scam artists masquerading as technically sophisticated developers of audio gear and accessories, so I don’t really see your point. He is one of the very few technically qualified individuals actively involved in this business that is willing to do so, and I commend him for this. The branded esoteric cable suppliers are only a small step above the snake oil operators in my view. Whilst I’ve personally yet to hear any significant (or even minor) differences between standard and high falutin’ power cords in my particular audio system, it may be primarily due to that I employ symmetrical power supplies with integrated conditioning situated immediately after the wall power outlets, and secondly that my choices of gear have properly designed power supplies which are not susceptible to which way the wind blows on a waxing moon (typo, I meant the electrons quantum alignment during their oestrous period !!). Having said that, there are no doubt many users of equipment with very poorly designed power supplies, whom have no such prior power conditioning, and whom may hear differences between any number of power cables. Furthermore I don’t disregard the often observed audible differences between interconnect and speaker cables, which are in my experience often rather immediately apparent. However in this instance the modus operandi is quite different whereby the required delivery of electrons is not extremely bandwidth limited as with ac power (50-60hz). As such there are any number of techniques based upon know principles of electrical engineering which can be manipulated to directly affect the vastly more extended approximate audio bandwidth of ~10-40khz, such that the response is tailored to ‘flavour’ the result accordingly. 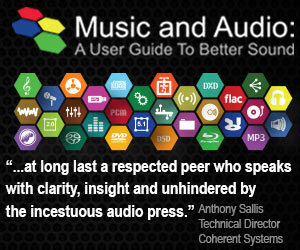 Irrespective of whether I understand the mechanisms at play, or not… or whether I hear any sonic differences, or not, IMHO there are simply no rational justifications on the basis of ‘improved audio fidelity’, for the cra$$ 4 & 5 figure sums of money which some cable vendors are asking for short lengths of dollied up wire. However there is obviously a great number of non-professional audio listeners which for whom, audio fidelity is in fact mostly irrelevant (although some may claim the contrary), for them their HOBBY is primarily of the means, and not of the ends… so they enjoy playing with expensive shiny stuff and as we all know, the more expensive and the shinier it is surely makes for, well it does make for something… although mostly it’s unrelated to anything of a sound quality improvement. You might be able to measure cables, but you’ll never arrive at any repeatable metrics of the human brain ! I’m making a record and want to do things right, so I have been interested in Mark’s thoughts. I do love tape and vinyl but then I heard HD digital. So quiet! The high end “air” is amazing! Please tell me what you guys think- I’m recording in 24 bit, 96 KHz and will have the project mastered at Sterling Sound. I plan on telling them to retain dynamics, though it’s difficult to know what to say (specify a dB range?). I listen at home (to blu ray audio, when possible) through a Marantz BD player, Jolida tube amp and Klipsch THX Ultra II (650?) speakers. Don’t judge! It’s a public school teacher’s audiophile system! The sound that you want during production and mastering depends on the genre of the music, the target market, the delivery format, and what “sound” you want. I prefer a clean and accurate sound while others require a loud commercial sound. It’s tough to decide but to have choices you have to start with a high fidelity recording. With respect to cables I think that an empirical approach is warranted. There is simply no way that a power cable can impact the sonic performance of an audio component, save being disconnected. I keep reflecting back upon Bob Carver’s challenge to compare his magnetic field amplifier against as well-regarded tube amplifier. He took an engineering approach to matching the amplifiers, then allowed everyone to listen at length as a means of verification. Engineering first. So the “retraction” wasn’t really a retraction, was it? If you don’t hear a difference between cables, power or other, why not just put it that way? I’m always wary of folks who make declarations of Universal Truth – as if they claim to have access to what others experience (and call that “science”). I would suggest that your understanding of why a phenomenon might exist is not a prerequisite for its existence. Neither is your ability to hear it. There are some universal truths in electricity and audio signals. The subjective side of the argument has no theory or science and thus can’t be debated. People will hear what they will hear and prefer what they prefer. In the world of professional audio studios, we don’t use expensive cables for power, interconnects, or speakers…take it for what its worth. That is another Universal claim that is simply not true. While that is certainly the case in many studios I’ve visited, there are plenty of others I’ve been to where so-called “audiophile” cables have been in use for years. Again, your awareness is not a prerequisite for something to be true. I’ll go further and say that I’d find you a whole lot more credible if you framed things in terms of your experience (which could not be argued with). I might or might not agree but at least I could respect an honest statement like that. 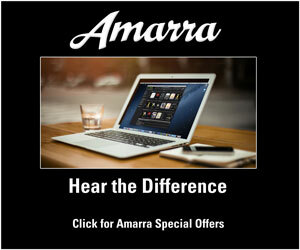 You don’t hear a difference between a $1.50 power cord and a well-designed audiophile cord that might cost much more? You don’t hear a difference between zip cord and solid core speaker cables insulated with PTFE? Say that and leave it at that. Own it! As I see it, speaking for others or speaking “universally” suggests a lack of confidence. Confidence doesn’t need to “shout” and it doesn’t need to “convince” anyone else. If you don’t want to read what I have to say, you’re certainly welcome to cease reading the articles on this site. If you were to visit The Village Studios, Sunset Sound, Ocean Way, or any of the 5 studios in my complex, you’d see standard power cords, standard microphone cables, standard analog and digital interconnects, and standard speaker cables. 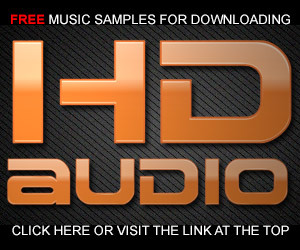 Are there studios that purchase expensive audiophile cables, certainly…I never said it was universally true. There will be exceptions to every rule. I’ve been in a studio that spend crazy money on everything…including Wilson Speakers. Did it sound better than my room, not by a long shot. You seem to want to deny science and technical realities. That’s perfectly OK…you’re not alone. Buy expensive power cords and enjoy your PTFE insulated speaker cables. But there are some fundamental “universal” facts that are not opinion. I was watching a couple of studio YouTube videos last night and both studios were using KRK speakers. I had never heard of this brand. I looked it up seems they are a very popular pro and studio audio company. The speakers profiled in the video cost less than $100 each as did the headphones they make. All these were touted as being able to fully let the track sound as “the artist intended it”! For me it has been rare the $100 component that sounds as good as the next level up. I don’t think the megabuck components give that much better of sound over the mid grade components with my type of music. I don’t see how a proper studio can mix a high res file with this kind of component. It is no wonder so much stuff being released sounds awful. R & B mixes are at the top of that “sound awful” list. Larry, the KRK line is commonly found in studio but in my experience not used in the mixing and mastering of commercial releases. The brand that has made serious headway in professional studios is ATC. In fact, two of the rooms in my facility have them…and they aren’t cheap! The 100s cost about $18,000 a pair. That may be chump change for audiophiles but it’s big bucks for studio guys. I would go with the M1 by JBL if I wanted to change things. Mark – Oh, now you have me thinking about your vlog. You might want to check out specialty gold plated outlets. Also, the difference between household wiring with 12 or 14 gauge wire. Aluminum vs Copper. How about different types of circuit breakers? But seriously, it would be good compare/contrast a serious power conditioner vs a dual-conversion UPS. They may have a lot in common. The folks at Audience gave me a power condition and I have some other expensive power strips and cables. But I also have excellent iso power throughout my building. I’ll start by showing the power cords worth $1.50 can deliver the same performance as a $6000 high-end cable…when plugged into an optical disc player. This was the demo that I experienced at AXPONA. Mark – The libel suit, is the tool of a scoundrel. ’nuff said. You are right and have a right to your opinion. I applaud your courage in noticing and posting that the company in question “cheated” in order to make a product which does nothing for SQ actually seem to work as advertised. This hobby (high-end audio) needs to weed out the snake-oil salesmen to protect the technically unwary from spending large amounts of money on nothing. Kudos! You should also do a stupidly cheap test – test the power cables that come with gear made down to a price (the power supply that comes with a $50 computer case comes to mind). And the shop at the local dollar store and pick up the $1 power cord and try that. I mean, the difference between a $1 power cord and a $10,000 one must be obvious, right? And I want to see inside the server room of these companies. I mean, their servers are mission critical and are what keeps their company running, so using $10,000 power cables there is a no brainer for many reasons where downtime can easily cost them more than that. (And if they use a hosting company… Then they should be using that on their servers, right?). Also, I’m sure they’ve donated a bunch to the local hospitals where actual lives depend on the machines that plug into the wall – from the OR to the life support.ventilators and such in intensive care. Can’t have loved ones dying because a crappy cheap cable wasn’t up to spec, right? I love your comments! Thanks. I don’t know if you are interested in this but here is a link relating to hospital use of power conditioner/ cords. They actually reprinted a press release from a company selling very high-end power cords (and other audiophile accessories). Amazing. Yes I understand the reprint and so on. I just found it interesting that the surgeons saw noticeable improvements in image resolution with the cables / power conditioners and lower noise. So much so that the heart hospital now uses them and also recommends them to other hospitals. Just info. For what it is worth I have tried various power cables and with some, not all, I did notice slight changes in the sound mostly with image location, density or separation. I understand some of the arguments against such things and I do not understand why the slight changes occur but I am confident in my system they did occur. I would also say that for my system, which consists of Revel salon2 and Classe gear, The Shunyata power cords had a more noticeable impact on those characteristics than the 4 other brands of power cords I have used in my system. I guess I like to tinker part of the hobby. I enjoy reading your articles and considering the differing points of view. The surgeons are imagining things. If a hospital has noisy power, then the electricians that wired it up need to be brought back to correct their mistakes. Mark, it’s very simple if you think about the electrical wires in the walls of your house and the other side of the IEC power connector on your devices…they are cheap wire that doesn’t do anything but deliver the same 110 volts or 60 Hz 20 amp power. Power cables are not capable of changing anything about the sound of your system…image location, density, or separation. It’s all comes down to the rigors of electrical power and the quality of the power supplies in the devices being powered. Tinkering is fine and if it makes you feel good, I won’t argue. But I’ve tested a $3000 power cord (with the skin effect etc) against the recommended and standard cord that comes with a Benchmark DAC2 and there was not sonic or electrical difference. Period. Ugh…. They were using power conditioners…. Why people can’t watch a video and have 100% recall is amazing. Laboratory tests can verify or disprove a specific claim. Respected laboratories generally carry more weight although they are not always right. Laboratories that are insufficiently equipped, are staffed with less then fully competent technicians, or do not perform all of the tests necessary to fully describe a product according to the current state of the art of testing get questionable results. IMO JA has just such a lab. In fact much of it is a joke. He tests speakers not in an anechoic chamber which he does not have access to but generally on his backyard patio. He uses a technique called “fast Fourier Transform” which he admits in his Youtube lectures has serious shortcomings. There are also ways to skew the results, that is put a product in a positive or negative light not just by the test procedure but by the narrative that goes with it. And when did you ever see a set of measurements for a phonograph cartridge in Stereophile Magazine? By contrast CBS Labs that tested for High fidelity Magazine, Hirsch Hauck Labs that tested for Stereo Review Magazine, and Audio Magazine’s own labs seemed much more competent and complete. I ALWAYS look at the lab data first. The rest is just opinion and frankly IMO the reviewers are either half deaf or just plain liars. Doesn’t matter, I have no respect for them whatsoever. As a trained engineer with decades of experience and someone who listens to a lot of live acoustic music, I regard these reviewers and the manufacturers who IMO pander to them as rank amateurs. The last real valuable innovation in this industry IMO was stereophonic sound many decades ago.